I recently had the chance to examine a learning task, from a learning goal, connected to a Social Studies standard at 8th grade. Standard: The student understands individuals, issues, and events of the Civil War. Explains the roles played by significant individuals during the Civil War, including Jefferson Davis, Ulysses S. Grant, Robert E. Lee, and Abraham Lincoln, and heroes such as Congressional Medal of Honor recipients William Carney and Philip Bazaar. 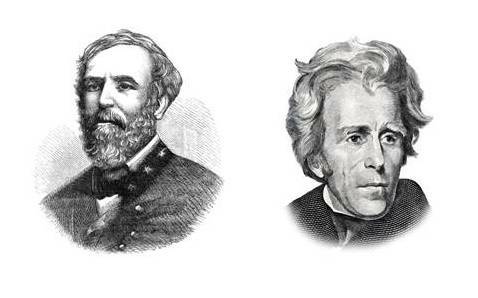 Lesson Goal: Students will analyze the roles of key individuals involved in the civil war. Task: Each student is given a different biography card with information about one of the key people. The student is to identify two important pieces of information about the individual on their card and to record that information on a paper plate the student has been given. Working in groups of six, students are to arrange their plates as they would appear around a circular table so that dinner guest could have appropriate conversations. Who should sit next to whom and who shouldn’t be next to whom? (Some of the biography cards represent confederate as well as union individuals.). The students are also to post a selected topic for table conversation. First, when I read the standard I consider the words understand and explain. For me, understanding emerges from students’ experiences and thinking. In other words the teacher can’t hand them the understanding. The students need to work with information and questions for the understanding to emerge. So the dinner plate activity looks to me like a great one to include in tackling this standard. Analyzing information is important for the understandings to emerge. The dinner plate activity can build many rounds of analysis practice. The first one begins as the student reads the biography card. What questions does the student need to be asking as he reads in order to decide the two important pieces of information to share on the plate? 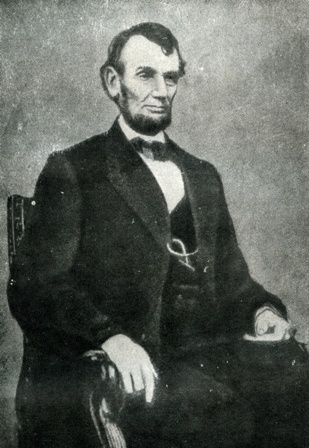 What impact did this person have leading – up, during, and/or after the civil war? At that time, who would agree with this person’s thinking? Disagree? What facts would most help my group place this person with shoulder partners for dinner? When the students begin working as a group of six and sharing their individual person with two facts, what questions should they have in mind as they listen to each other? Again the teacher needs to assess the students’ skills in asking questions that deepen the analysis and lead to induction as students find patterns emerging among these historically important people. How is the person being described similar and different from my person? Where would they agree with my individual? What conflict might emerge as they sat next to my person? How much disagreement makes for good conversation? How much would be too much? As I study the standard I see the need for students to be increasing thinking skills along with the social studies content to master the standard. Warren Berger, in a blog for Edutopia, 5 Ways to Help Your Students Become Better Questioners, reinforces the value in students learning how to ask questions. For students to do the explanation called for in the standard, I believe requires additional critical thinking skills of insight, appraisal, and summary, as well as the communication skills to share that explanation. As groups prepare to explain their decisions about the seating arrangements and the topic they have selected for conversation, a great opportunity exist to practice these skills. The teacher observing these group conversations can be doing a continuous assessment of students’ understanding of the content and development of critical thinking skills. Knowledge gained from these assessments can shape the teacher’s decisions about possible direct instruction or more practice follow up activities. What did you learn about one of the historic individuals we discussed today? What understanding or insight emerged about this time in history? What question do you have that might be worth further exploration? How could you explore that question? A bonus that I see in this learning activity is that the time invested in the students’ work on the “plate” creates a resource for extended practice and learning. Moving half of the students to make new groups the next day provides quick presentations of more famous individuals and a chance to repeat the critical thinking process of arranging the place settings. I can imagine repeating this for several days and perhaps culminating with students creating and explaning a dinner guest list that they feel would create the ultimate conversation. I think that the development of learning activities like this, along with the assessment of their outcomes, is the real work of PLCs.